Yooka-Laylee could be the revival that 3D platformers need and that fans have yearned for. In Yooka-Laylee two puzzle solving, platforming anthropomorphic animal friends buddy up to stop a creepy villain. Sound an awful lot like Banjo-Kazooie? That’s because this crowd-funded project for current platforms has been developed by ex-creative talent from Rare, the British 32 year old developer behind classic games such as Donkey Kong Country and Banjo-Kazooie. 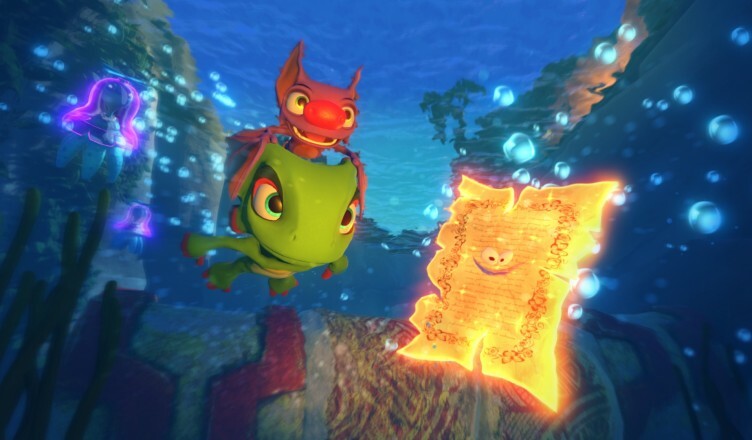 Yooka-Laylee began its life on Kickstarter. The project was launched on the 1st of May 2015. Backers of the Kickstarter helped the game reach its initial £175,000 funding goal in 40 minutes. Within 24 hours that totalled more than 1million. Obviously, this generated a huge amount of interest, possibly more than people could have been anticipated. Perhaps the market felt fatigued and desired games reminiscent of those from the past. Ever since Rare stopped making 3D platformers; Nintendo has been the sole provider for AAA ones thanks to the Mario series. By the end of the campaign six weeks later the game had raised a total of £2.9 million from 73,206 backers to become the most-funded UK game on Kickstarter ever. Based on appearance alone, it looks like an adorable, innocent-looking 3D platform er. However, being a spiritual successor to Banjo-Kazooie, we can expect subtle and not-so-subtle adult humour. For example, there is a character you will come across called “Trowzer”. Who also happens to be a snake. 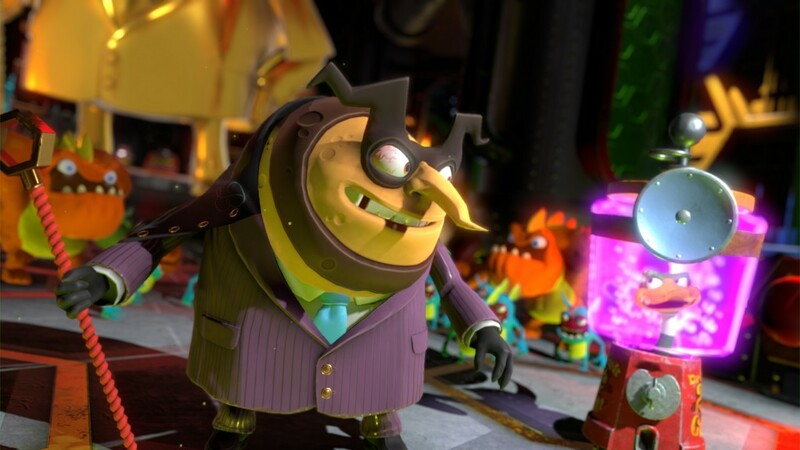 Our titular characters Yooka (The Chamaeleon) and Laylee (The Bat) are out to stop Capital B (The Bee) and his friend Dr Quack from stealing all of the world’s literature for financial gain. Your mission is to collect 100 “Pagies” that have escaped from Capital B’s clutches. The pagies act just like the “Jiggies” from Banjo-Kazooie, rewarding you by unlocking new moves and opening up different worlds. 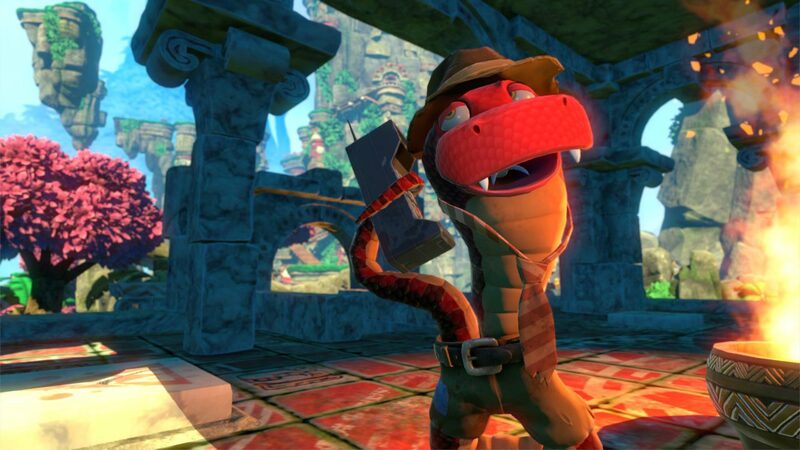 Yooka Laylee features some pleasant surprises. If you feel inclined to play the game with a friend or you are a parent spending quality time with their child, then the main game has a two-player mode. The second player acts as a member of the “Bee team”. This allows them to pick up collectibles and stop traps. 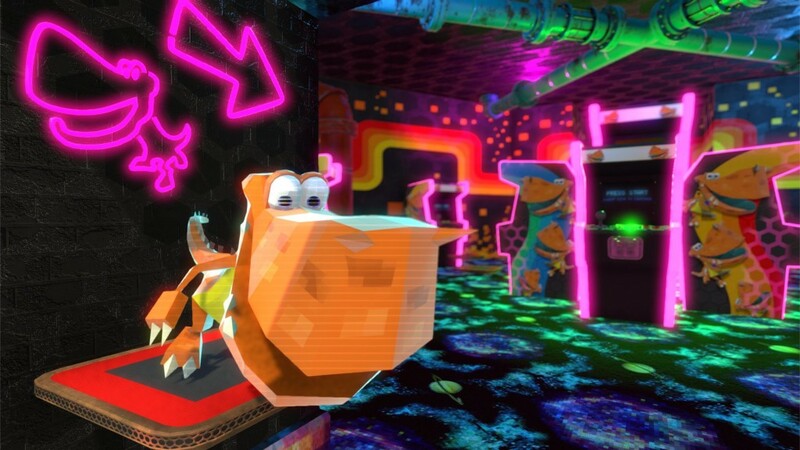 Rextro’s Radical Arcade is a four-player local and online multiplayer mode. Meet up with friends and play together in one of the eight arcade games. The modes are built into the games motif. Games include races in “Kartos Karting” and arena brawlers. Despite it not being out yet, Yooka Laylee is clearly aimed to hold a place in the hearts of those, who grew up during the golden age of 3D platform games on the Nintendo 64. Or for the people like me, that watched an older sibling play these games. 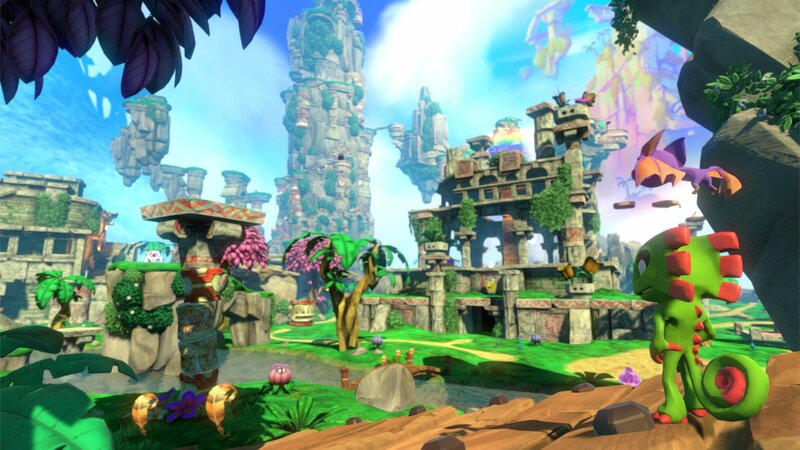 Yooka Laylee could become the revival of a long lost genre of games and be the game that is needed to refresh the market, but we won’t know for sure till it releases.